Isambard Kingdom Brunel, English engineer, c1850s. Brunel surrounded by vignettes of some of his most significant projects - the steamships 'Great Eastern', 'Great Britain', and 'Great Western' and the Saltash and Hungerford bridges. 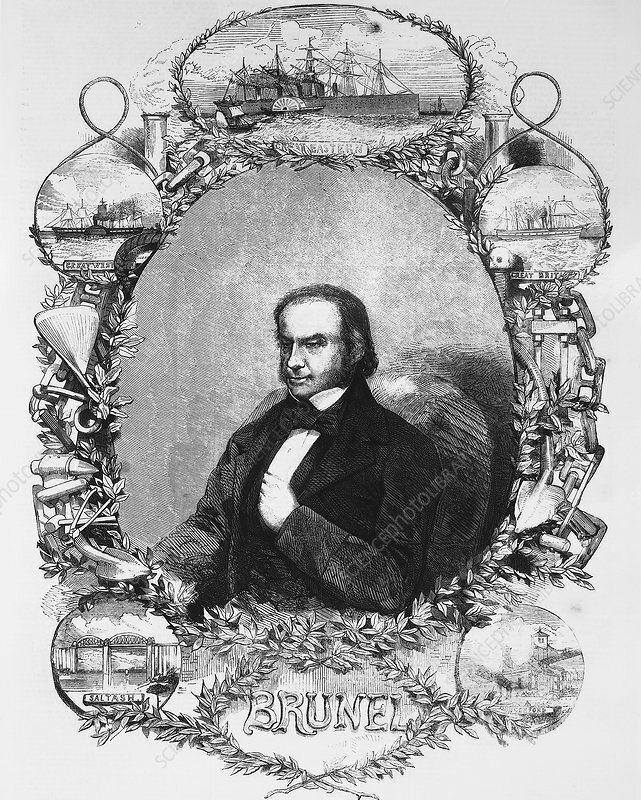 Brunel initially work for his father Marc Isambard Brunel on the construction of the Thames Tunnel. He was the chief engineer of the Great Western Railway (GWR) from 1833 to 1858, for whom he designed many bridges and viaducts, including the Royal Albert Bridge, Cornwall, and Clifton Suspension Bridge.